It’s easier to figure out what stayed the same with the AAA baseball team in Las Vegas than what changed. 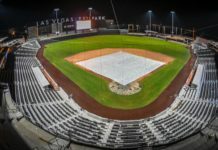 On Sept. 3, the Las Vegas 51’s, affiliates of the New York Mets, had just finished their season at Cashman Field. Now that the team ownership has announced the new team name, the Las Vegas Aviators, the transition is almost complete. On Dec. 7, the Howard Hughes Corporation announced the new identity of the quirky ball club that’s made a home between the Neon Boneyard and the Old Mormon Fort for decades. 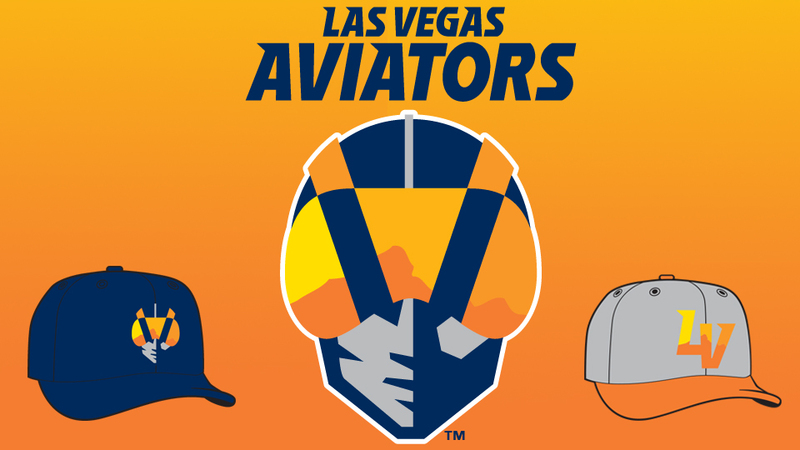 The team was now the Las Vegas Aviators, as fans expected and worked quickly to show how different they’ll be from the 51s of years past. Last season’s team went 71–69, finishing in third place in the Pacific Southern. 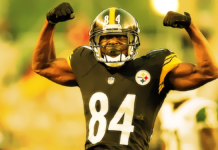 While the team did not make it to the playoffs, they still had a summer of highs and intrigue. The pitching staff boasted three six-game winners in Drew Gagnon, Chris Flexen and Kevin McGowan. Closer Jacob Rhame led the team with 11 saves, boasting a 3.06 ERA. Gagnon’s 167 strikeouts were the most on the team and in the PCL. The Las Vegas faithful were also treated to a handful of major leaguers in injury rehabs. Starters Zack Wheeler and Jason Vargas each made one start for Las Vegas, while reliever Anthony Swarzak, fresh off signing a two-year, $14 million contract with the Mets, made three appearances in relief. The team also had five different position players take the mound. Nick Sergakis, Patrick Biondi, Matt den Dekker, Jeff Glenn and Colton Plaia combined for 14 appearances and 11 runs allowed. Offensively, the franchise boasted a variety of headline garnering stars of the past, present and future. Several of the Mets major leaguers made rehab starts in the desert including Todd Frazier, Brandon Nimmo and David Wright. The lineup also regularly featured top Mets prospects, including four in MLB.com’s top 30 team prospects. The four prospects were first baseman Peter Alonso, catcher Tomas Nido, infielder Gavin Cecchini and third baseman David Thompson. Alonso was the crown jewel of the bunch—a slugging first baseman with gold glove potential. Despite yearning from the fans for a call up to the majors, Alonso spent the second half of the season in Las Vegas. He split his time at first base with Dominic Smith, a former top-10 Mets prospect, that also spent time learning how to play the outfield at Cashman. Outfielder Zach Borenstein was the iron man for the 51s, playing in a team-high 133 games. The next closest in games played was utility player Ty Kelly. Borenstein was also the best hitter in the city as the team’s leader in home runs, runs and RBIs. Up-and-coming shortstop Luis Guillorme also spent the season flashing the leather at shortstop for the team with second baseman Jeff McNeil becoming a fan-favorite after batting .368 in 31 games. 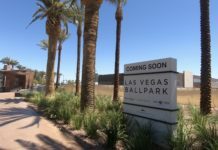 The collection of potential and marquee names brought fans pouring into the Cashman Field bleachers long through the dog days of summer and to the final game of the season. On the final game of the year, this against the Sacramento River Cats, it was PJ Conlon on the mound. Conlon, who made history as the first Irish-born Major Leaguer since World War II. It was a back-and-forth battle until the ninth inning where Las Vegas trailed with the winning run at the plate in Alonso. Alonso took the pitch from Tyler Beede over the left field wall, giving them a win in the final game in 51s history. 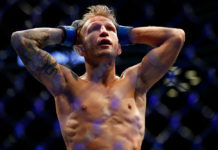 The fans have said goodbye to the names they’ve become accustomed to hearing over the years. 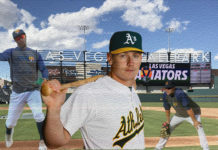 As the newest affiliate of the Oakland A’s, there will be a learning curve in Summerlin. 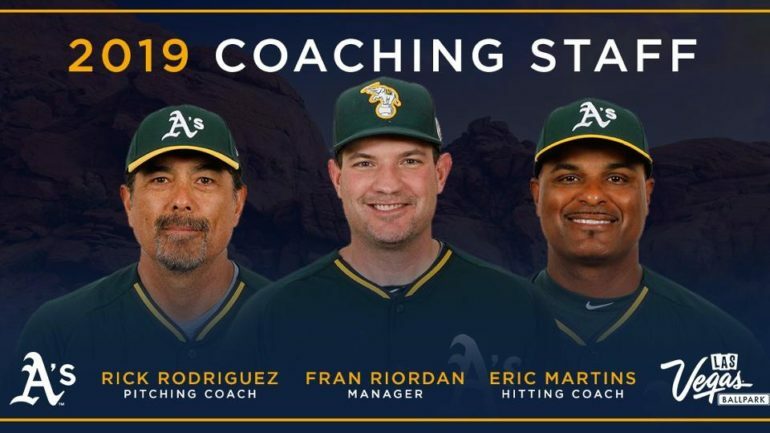 They will also now have a new coaching staff, the same group that led the Nashville Sounds in 2018. Fran Riordan will be the new manager, Eric Martins the hitting coach and Rick Rodriguez as the pitching coach. They were the Las Vegas Stars for 18 years, then the 51’s for 18 more. Now, fans will flow into Summerlin to watch the Aviators take the field. At least for another 18 years.